Might the Duffer brothers be the next Wachowskis? 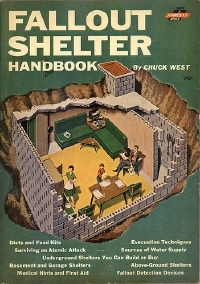 Having just graduated College, they sold their spec script entitled Hidden to Warner Bros which revolves around a family hiding in a bomb shelter after escaping a mysterious outbreak. To boot, the deal has some sort of to-be-produced clause which means it's expected to start filming next year. You can check out one of their short films below. I saw the same episode on Fear Itself, a cable series w/ a variety of 1 hour horror episodes. It was called Eater too. One difference is that the rookie cop was a woman in the cable episode. Good story. What a nasty thing to say, the Duffers appears to have a lot more originality then the gladly disappeared Wachowskis.